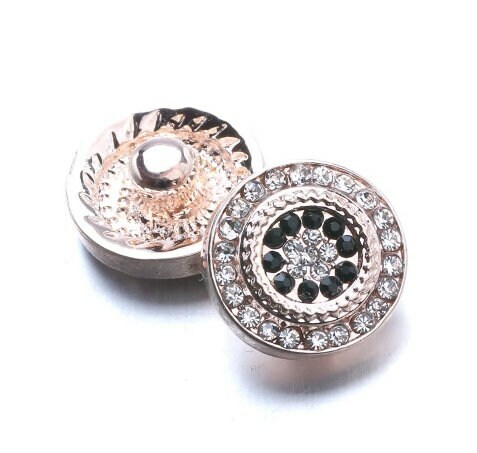 This is a "Petite" Mini Rose Gold Snap that coordinates with 12mm jewelry bases. 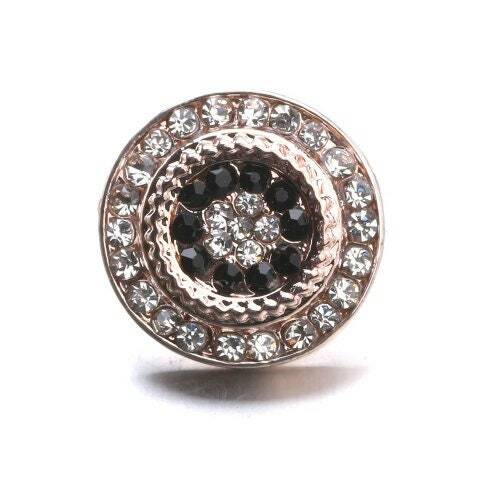 This petite snap has a stunning array of black and clear crystal rhinestones. These snaps are very light-weight and petite. They coordinate with 12mm petite snap jewelry bases.